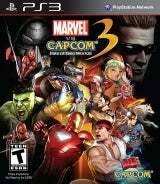 ▾ Forums | Science & Technology | GAMEFREAKS: nintendo 3DS, PSP2, MvC3, FF Type-0. 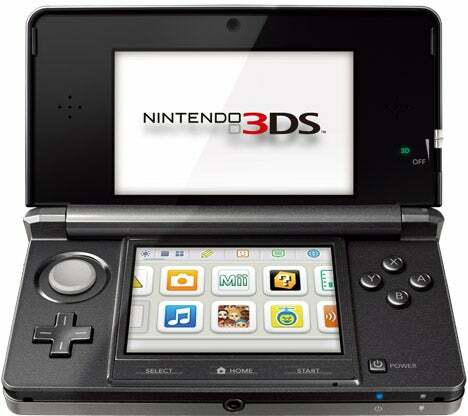 Nintendo has released a handy FAQ detailing all sorts of information about the 3DS. We\'ll continue to update this page should any new information trickle out leading up to launch. March 27, 2011 in the United States. March 25, 2011 in Europe. $249.99 in the United States. Pricing will be set by retailers in Europe. Launch Games: Nintendo has not confirmed specific launch titles. The company said it will release more than 30 games during the launch window between March 27 and E3 in June in the United States. Europe will see more than 25 games during the same time period. • 3D screen, enabling 3D view without the need for special glasses and the ability to adjust or turn off 3D effect with the 3D Depth Slider. • Stereo cameras that enable users to take 3D photos that can be viewed instantly on the 3D screen. • StreetPass, a feature that lets Nintendo 3DS exchange data automatically with other Nintendo 3DS systems within range, even in sleep mode once this feature is activated by the user. Data for multiple games can be exchanged simultaneously. • Convenient features that users can access without stopping game play such as the HOME menu, Internet Brower, Notifications, etc. • Plenty of built-in software such as the Nintendo 3DS Camera, Nintendo 3DS Sound, Mii Maker, StreetPass, Mii Plaza, AR Games, Activity Log, Face Raiders, etc. • Nintendo eShop where users can view trailers, software rankings and purchase software. software for the Nintendo DS family of systems can be played. **There is a limit to how many times transfers can be made. Some software may not be transferred. ***Additional features added through system updates may also be subject to Parental Controls. Some of these features such as the Internet browser, Nintendo eShop, system transfer and the ability to download software and videos using SpotPass will be available after system updates are performed. Size (when closed): 2.9 inches high, 5.3 inches long, 0.8 inches deep. Weight: Approximately 8 ounces (including battery pack, stylus, SD memory card). Upper Screen: Wide-screen LCD display, enabling 3D view without the need for special glasses. Capable of displaying approximately 16.77 million colors. 3.53 inches display (3.02 inches wide, 1.81 inches high) with 800 x 240 pixel resolution. 400 pixels are allocated to each eye to enable 3D viewing. Lower Screen: LCD with a touch screen capable of displaying 16.77 million colors. 3.02 inches (2.42 inches wide, 1.81 inches high) with 320 x 240 pixel resolution. are single focus and uses the CMOS capture element. The active pixel count is approximately 300,000 pixels. Wireless Communication: 2.4 GHz. Enabling local wireless communication among multiple Nintendo 3DS systems for game play and StreetPass. Enabling access to the Internet through wireless LAN access points (supports IEEE802.11 b/g with the WPA/WPA2 security feature). Recommended distance of wireless communication is within 98.4 feet. This can be shorter depending on the environmental situation. WPA and WPA2 are marks of the Wi-Fi Alliance. Stylus: Telescoping stylus (approximately 3.94 inches when fully extended). Electric Power: AC adaptor (WAP-002 [USA]). Nintendo 3DS Battery Pack (lithium ion battery) [CTR-003]. Battery Duration: When playing Nintendo 3DS software about 3-5 hours. When playing Nintendo DS software about 5-8 hours. Battery duration differs depending on the brightness setting of the screen. The information regarding battery duration is a rough standard. 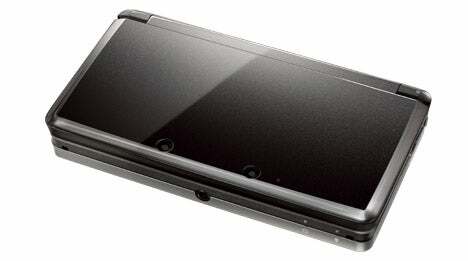 It can be shorter depending on what functions of the Nintendo 3DS system are used. Game Card: Nintendo 3DS Game Card. The size is approximately the same as Nintendo DS Game Card. One of gaming's worst kept secrets is about to come out of the dark as Sony primes itself for the reveal of the PSP2. Reports are suggesting that the console is to be announced at a Tokyo event on January 27. Images of the console leaked last month, revealing twin thumbsticks and a sliding design similar to that of the PSPgo. It's expected the console will have no UMD drive, and that its graphics could rival those seen on the PlayStation 3. The announcement will come shortly before Nintendo's 3DS hits stores in March – and it suggests that the PSP 2 will be hitting shelves later this year. IGN has contacted Sony for comment and is awaiting a reply. i miss the old school gameboy advance with the pokemon game i loved playing sapphire !!! Why isn't there someone here to close necro threads? This one's so old it smells already.